The popularity of meditation continues to grow in the West. As more and more people begin to realize the spiritual and health benefits of meditating, newcomers look for a teacher who can help them start practicing on their own. Jack Kornfield stands out as one of the most accessible and trusted teachers for helping first-time meditators get their start. 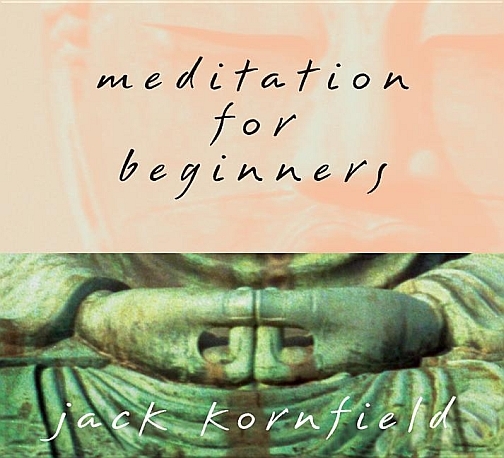 Meditation for Beginners is Jack Kornfield's most popular entry-level training course, with over 60,000 copies sold. Created specifically for novices, this complete introduction to meditation features four classical mindfulness exercises. The vipassana, or "insight," practice on which these are based is said to have originated with the Buddha himselfyet it lends itself gracefully to a wide range of spiritual traditions, both secular and religious. The 10th-anniversary edition of Meditation for Beginners gives listeners a new chance to experience Jack Kornfield teaching this ancient practice in its purest form.